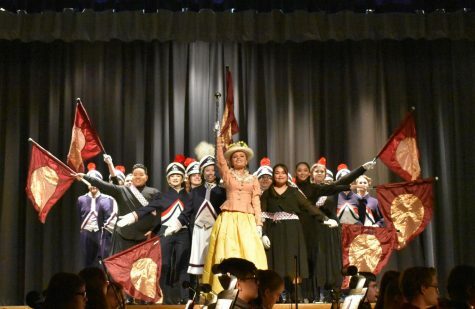 Twenty-five superheroes and sidekicks. Four intersecting narratives. A 150-minute run time. And a budget of $300 million. All roads lead to here, and the decade long journey has finally culminated into one of the most anticipated films of the 21st century. 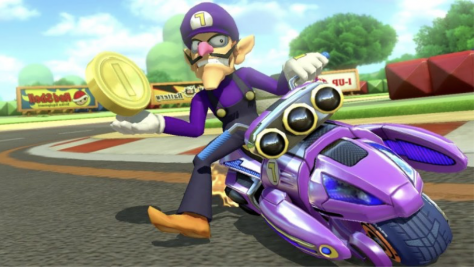 As the third phase of the Marvel Cinematic Universe enters its final stage, Earth’s mightiest heroes are pitted against The Mad Titan himself, Thanos, in a desperate race against time to thwart his plan for universal genocide against humanity. Stringing together the original six, renowned Guardians of the Galaxy, Dr. 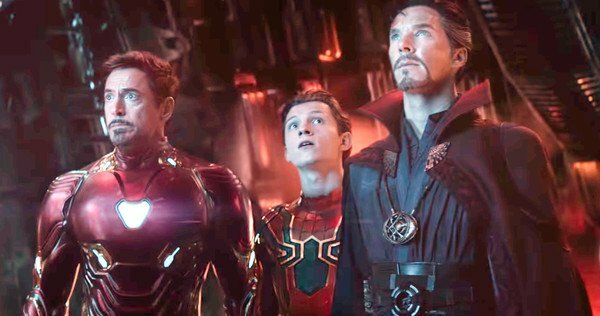 Strange, Spider-Man, and the entire Wakandan populace, Avengers: Infinity War boasts a roster of beloved veterans and newcomers against their most formidable opponent yet in Marvel’s finest work till date, providing for a bold and masterful conclusion to the first part of the tale of the Avengers. First and foremost, it is imperative to address that Infinity War deals with the question of “how far can you go?” over “how far are you willing to go?” beyond anything else, and it is arguably this proposition that forms the crux of the story. While the excitement of fans is truly palpable in seeing the success of their heroes come to fruition, it is also important to note that this by no means a typical Marvel film. Nick Fury’s assimilation of a group of dedicated heroes six years ago was nothing short of a massive feat, and since then, most of them have gone on to single handedly protect the world in their own eponymously titled features. However, as references through the subsequent nineteen films produced by Marvel post Robert Downey Jr’s debut in Iron Man (2008) have tacitly led to this fateful encounter (for some), it becomes increasingly apparent that, for many fans, The Avengers are on their last straw, and it is only a matter of time before they crumble amongst one another — or someone breaks them. To this extent, fans are not incorrect, but that is not where this Avengers film commences. The events of Infinity War begins directly where Thor: Ragnarok left off, with the spaceship of Asgardian survivors, including Thor (Chris Hemsworth), Hulk (Mark Ruffalo), and Loki (Tom Hiddleston), being intercepted by Thanos and his lieutenants who’ve returned from acquiring one of the six Infinity stones from the planet Xander. On Earth, Dr. Stephen Strange (Benedict Cumberbatch) and his trusted companion Wong (Benedict Wong) have continued their journey defending the three noble sanctums in Earth while the former has resumed his pursuit of mastering the mystic arts. Tony Stark (Robert Downey Jr) has been reluctantly attempting to retire his suit with some commitment issues from his fiancee (Gwyneth Paltrow) and continues his mentorship of Peter Parker (Tom Holland) post the events of Spider Man-Homecoming. 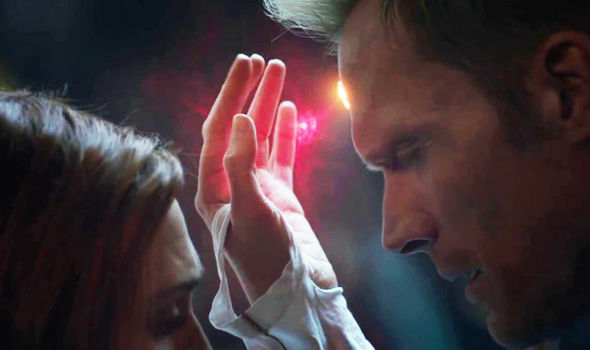 Wanda Maximoff (Elizabeth Olsen) and Vision (Paul Bettany) have become involved in a romantic relationship, and the latter continues to live off of the powers of the Mind Stone. Steve Rogers (Chris Evans) remains disavowed and on the run, while in outer space, The Guardians of the Galaxy have continued their defense of the universe after an appalling encounter with Peter Quill’s (Chris Pratt) estranged father, and the ever looming rumors of Thanos’ imminent threat have begun to surface once more. With a multitude of narrative arcs that can easily perplex one given their absence in viewing Marvel’s most recent films (Captain America: Civil War, Guardians of the Galaxy Vol 2, Thor: Ragnarok, and Black Panther) directors Anthony and Joe Russo waste no time in establishing what ensues. The film’s conflict is initiated from the very first frame viewers are introduced to, and it is the events that transpire on the airship that create a domino effect for the rest of the film to unfold (but more on that later). 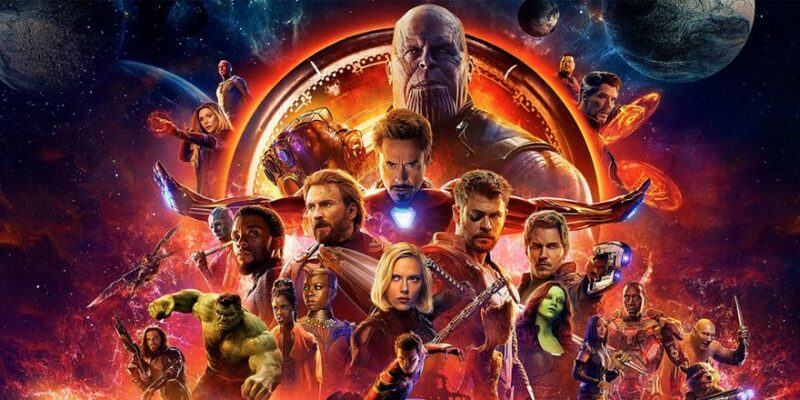 Similar to the direction of Jon Watts in Spider-Man: Homecoming (of which you can read my review here) the timeline of the film is made clear by the Russo brothers and the dialogue between the characters serves as a great medium through which audiences can catch up and understand the context of the situation if they are ever confused. Following in the footsteps of its predecessors, Infinity War is assured in its intent and delivers one of the richest cinematic experiences ever made by Marvel for fans of all ages. Partnering with IMAX during the production stage to ensure that shots are delivered in a convertible format to be viewed for a memorable experience, the Russo brothers have more than leveraged the film and comic book content at their disposal. Each shot is a sheer visual treat, and the cinematography and special effects team deserves top commendation for providing a proportional canvas on screen of both beauty and chaos. Be it in the meteoric wasteland the Guardians accompany Thor in, the ravaged planet of Titan which serves as one of two locations for the climactic showdown, or just the allure of the primordial halls of Wakanda, every frame is storyboarded and created with the utmost perfection. Infinity War was boasted to have an immensely large roster of heroes for quite some time, and for the most part, their narratives blend and manage together well. The magnitude of the film is bold and the gravity of each situation is more than perceptible and makes you feel as if you are watching an epic unfold. The stakes have been substantially raised and the greatly anticipated interactions between characters such as Iron Man and Dr. Strange are brilliant. 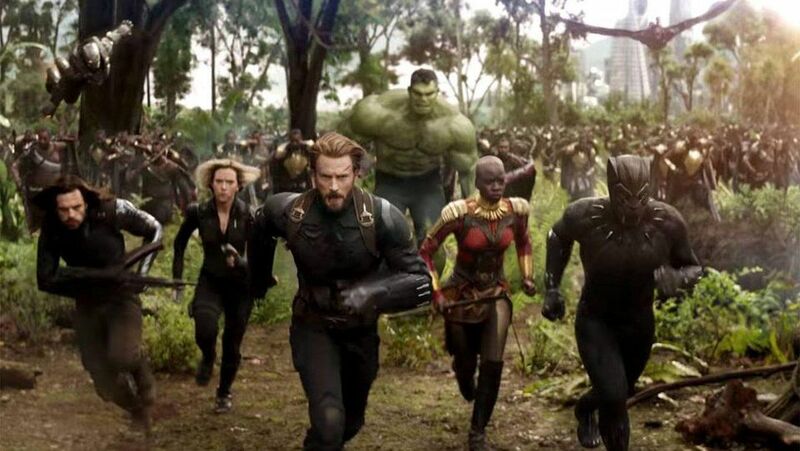 With that addressed, concerns of screen time for many fan favorites had been raised, but after a viewing of the film, it is sufficient to say that each character is allotted a specific amount of time depending on their role in the context of the battle against Thanos. However, no character has gone to waste. As enormous as Infinity War is, the screen presence of each individual is more than felt and not only the original six, but all characters are greatly evolved in one way or another by the time the battle with Thanos has run its course. The film could have been reduced in its length, but never do you feel bored at any given point. Performance wise, Infinity War carries prominent names who have further contributed to the powerhouse of talent involved in the making and presentation of every MCU film. Among them is Robert Downey Jr, who was Marvel’s first Avenger to ceremonially mark “phase one” of the universe a decade ago. For Downey Jr., the journey has remained truly surreal as Iron Man has become one of, if not, the leading mascot of the Avengers, and that isn’t considering that he has charged Marvel the biggest fee at $200 million! In Infinity War, the actor once again proves that he is one of the finest in the industry today, and his performance brings the vulnerable Tony to an emotional peak never witnessed before by audiences. His impressive growth, not only as an actor, but as a character through his portrayal, is exceptional, and he is undoubtedly the gel that has held the MCU to the standard it always sought to achieve. Downey Jr. may be Marvel’s favorite leading man, but he isn’t the only name backing the project. Accompanying Iron Man on his journey to protect Earth is none other than everyone’s new favorite, Dr. Stephen Strange, portrayed by Benedict Cumberbatch. As always, Cumberbatch is brilliant as the master of the mystic arts, and ihs progression as the once renowned neurosurgeon struggling to come to terms with Earth’s plight after applying his genius for the greater good provides an emotional arc that feels fresh after seeing him depart from his old self at the end of Dr. Strange (2016). Tom Holland’s Spider-Man finds himself summoned to the cause of protecting Earth after having saved New York City in Homecoming, and his delightful spirit and intimate moments with Stark are ones you will remember long after the credits roll (again, more on that later). 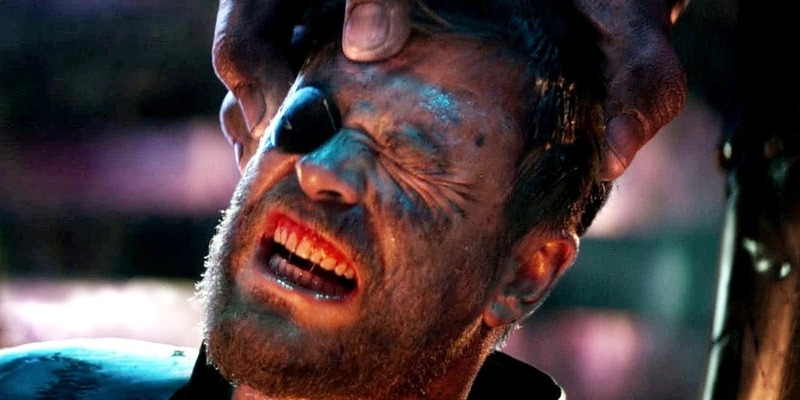 Additionally, great performances are also provided by Chris Hemsworth, Mark Ruffalo, and Bradley Cooper as Thor, Hulk, and Rocket, respectively, and provide some of the most humorous scenes in the story. 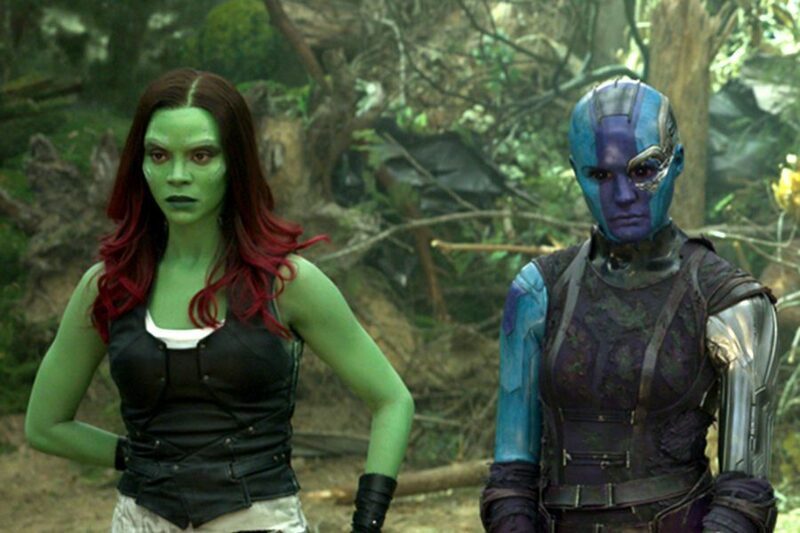 Gamora (Zoe Saldana) and her sister, Nebula (Karen Gillan) receive ample screen time through the course of the film, and aid in understanding some of the shades of grey of the mighty Thanos. Both sisters are intriguing in their respective roles and are fine illustrations of Marvel’s focus on strong female leads. 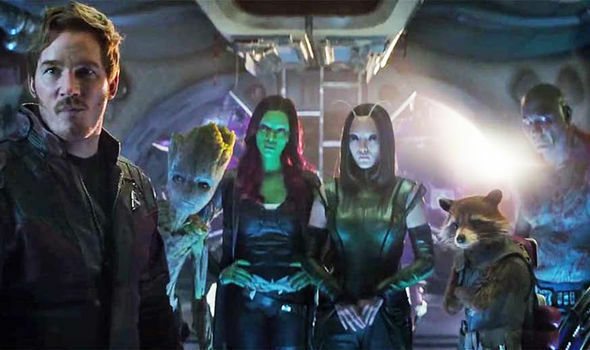 The remaining Guardians, Drax (Dave Bautista) and teenage Groot (Vin Diesel) are present only in sections of the film as their story intersects with Thanos, but they do not receive the spotlight for too long. The valiant Steve Rogers/Captain America (Chris Evans) is also present through the film with the same amount of prominence as Downey Jr.’s Iron Man, but his role truly begins in the climax of the film. 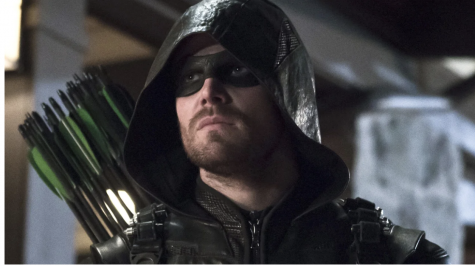 His presence is more than welcome after his close fight with Stark in Civil War, considering both characters were on the brink of fighting to the death. Recent entries in the MCU such as Black Panther/King T’Challa (Chadwick Boseman) are not given much to do until the climax besides having some minor appearances, but they each add something new to fight against Thanos’ forces. Tom Bettany as Vision and Elizabeth Olsen as Wanda Maximoff are recurring characters, but are integral to the story, especially near the end of the film as their star crossed story attempts to triumph over all odds. Considering that the events of the third film has been split into two distinct features with the concluding half to be released in May of 2019, Infinity War raises the stakes to an extent where this feels like the MCU’s final film, even for the main antagonist, even though the MCU hasn’t run half of its course yet. There is a just sense of finality that keeps you at the edge of your seat, but also keeps you afraid for what is to happen next. That sense of finality is provided by none other than Thanos, portrayed by Josh Brolin. Thanos, in every regard, is Marvel’s most memorable antagonist to date, if not the greatest. While this film marks his first major appearance in the Avengers films, Brolin tailors himself to the role like no other villain. His transformation is astonishing, and from the very first frame, it is more than clear that the Avengers are in for the fight of their lives. Be it in his collective demeanor as he mercilessly triumphs his way to victory, or the conviction he maintains of his destiny to methodically shape the universe with the absence of reckless superhumans, Marvel portrays a man at the zenith of his physical capabilities who views himself as the product of his own perfections. Regardless to say, Thanos is one who, despite understanding that he will reap what he sows, finds himself at a difficult crossroads when his love for his own daughter, Gamora, is called into question. Here, writers Christopher Markus and Stephen McFeely give us a flawed yet fiercely determined villain, one who will be remembered for sparking a catalyst for a series of unfortunate events to come. Prior to the decision of fans to enter cinema halls for the ultimate summer movie experience, a certain factor remained sufficiently clear in the trailers and TV spots that aired during the week of Infinity War’s release — heroes will die and Thanos may supposedly win the day. The film certainly teased many casualties, but the impact of these casualties is something not even the most ardent comic book fans could have predicted. The writers and directors made many conscious decisions, and their intent was revealed directly from the encounter that happened on that spaceship. Loki’s decision to hand over the Tesseract in order for him to impale Thanos directly through his heart after swearing a fake fealty was never going to end well, and Thor was subject to watching his brother finally meet his end. Heimdall (Idris Elba) is also murdered by Thanos in the destruction of the ship, leaving Thor to succumb to his wounds as his surroundings burn around him. 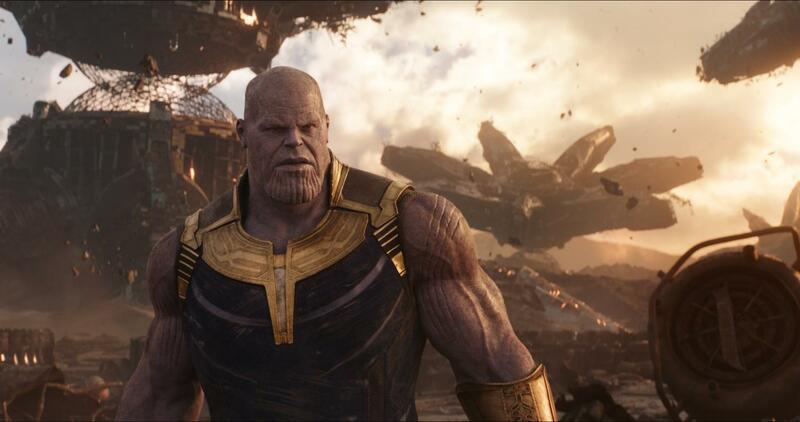 Thanos’ reluctant decision to sacrifice Gamora in exchange for the authority to wield the soul stone from Red Skull (who survived the events of Captain America: The First Avenger) was by all means shocking, and the Mad Titan only proves that he is as relentless as people say when he departs with yet another Infinity stone. Gamora’s death, however, may not be a permanent fixture as she is to feature in Guardians of the Galaxy 3. Her death was arguably the greatest contributing factor to Thanos’ ultimate victory, as the news of her demise causes a distraught Quill to repeatedly bash Thanos as he is being subdued, subsequently derailing the efforts of Iron Man, Dr. Strange, Spider-Man, and Mantis from effectively removing the gauntlet on planet Titan. Dr. Strange’s vision of the Avengers only winning one out of fourteen million possible battles against Thanos leads him to reluctantly exchange the Time Stone for Tony’s life, who is impaled after a nearly successful one on one encounter with Thanos. On Earth, an emotionally draining encounter for Scarlet Witch causes her to destroy the Mind Stone and Vision with it, only to have Thanos reverse the event with the Time Stone and rip the Time Stone from Vision’s forehead himself. Meeting a painful end twice, Captain America’s efforts to save poor Vision are disappointing as a single hit leaves him back on the ground. Banner, whose stubborn alter ego didn’t let him get angry, is easily bested in Tony’s Hulkbuster suit. I wish Hulk would have transformed at some point, but I believe Marvel is keen on taking a more sensitive approach to the Hulk in the question of why he did not transform. Thor’s incredible entry in Wakanda after gaining his hammer with Rocket in space is astonishing and truly gave me hope for a moment until Thanos’ smile reveals that Thor should have aimed for his head. Shockingly, Thanos snaps his fingers and Earth’s mightiest heroes are bested. Black Panther, Scarlet Witch, Star Lord, Groot, Drax, Bucky Barnes, Falcon, and shockingly, Dr. Strange and Spider-Man. Arguably in one of the most emotional sequences for any viewer was the demise of Peter Parker, who in a frantic state clung to Tony Stark’s bloody arms as he disintegrated. However, the announcement of a sequel to Spider-Man Homecoming, Dr. Strange, Guardians of the Galaxy 3, and Black Panther assure that a good amount of these deaths were not permanent. The post credit scene also revealed Nick Fury (Samuel L. Jackson) and Maria Hill (Cobie Smulders) disintegrating while Captain Marvel’s symbol appealed on a communication device, hinting that she will have a major role in defeating Thanos. While nonetheless emotional departures to characters at the end of the film until next year, the final frame of the films saw a grief stricken Tony Stark clinging to Spider-Man alongside a distraught Nebula on Planet Titan, while Thor, Captain America, Black Widow, War Machine, Rocket, M’Baku, and Okoye defeated on Earth. Thanos is transported to a distinct planet enjoying the sunset in peace, but viewers are shone a vision of him interacting with a Gamora as a child, who asks him what he lost. His reply, being “everything,” shows that the Infinity Gauntlet must have lost substantial power. The fate of characters such as Wong, Ned, Hawkeye, Valkyrie, The Collector, Ant-Man, Pepper Potts, and Captain Marvel/Carol Danvers were never revealed to viewers, so as of this point in time, they are considered to be MIA in the MCU before the next Avengers installment releases in 2019. On the whole, Avengers: Infinity War strongly delivers as one of the finest cinematic experiences in the recent decade. With exceptional performances from its principal cast, superlative cinematography and action sequences, and a memorable villain for years to come, this is undoubtedly a game changer for both Marvel and DC. 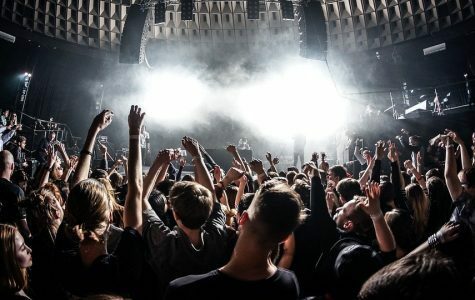 Given a massive collection of $1 billion and extremely positive word of mouth, Infinity War is only expected to break additional records in the weekends that follow. While the length time and editing could have been altered in portions, the film still rides high on its promises and is a must watch for all ages!